Lots of people are picking a defining word for this next year… so I decided to ask God to give me one too. This is what I heard – AUTHENTIC – my word for 2012. 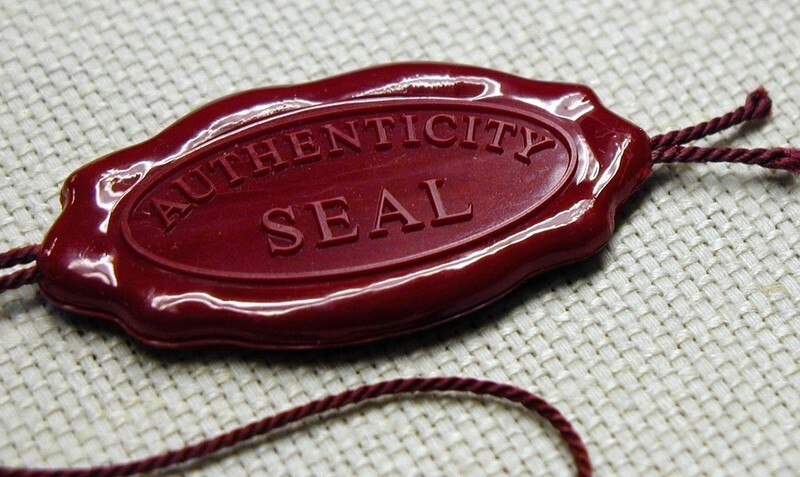 Authentic means: not false or copied; genuine; real. Also entitled to acceptance or belief because of agreement with known facts or experience; reliable; trustworthy and true to one’s own personality, spirit, or character. authentic emotions – We are going through a lot of change this year – moving from our 17+ year international home in Mexico back to the States. This huge change creates anticipation and loss. In the next months, I want to be authentic about what I feel – not pretend to feel more than I do…not pretend to feel less… It is not easy for me to say good-bye’s; sometimes I want to stuff the pain. This year I want to genuinely grieve and let people know how much I have appreciated their impact in my life and how much I will miss them. authentic fears – Change is hard. I am often afraid that I will not measure up to new expectations; I won’t have something worthwhile to contribute to new situations; I won’t know enough for the task. I wonder if I will “fit” in the new place; will I like it? Usually I control and conquer those fears and take on the challenge anyway, but this year I would like to be more real about the process and the struggle I go through. authentic needs – I don’t like to feel stupid, uninformed or un-involved in important causes (a bit of a pride issue here?). I like to do things well, and I don’t like having to ask for help. The truth is, however, that I have a lot to learn, and there are many who can help teach me. I want to read more this year and ask more questions. I want to discuss what I am reading with others and learn from them. I want to make difference with my life, and I want to do it together with others. I will need to honestly admit my needs to do that. authentic me – I want people to like me and enjoy time with me. I want people to ask my opinion and read what I write. Sometimes I pretend to be more like others – and less like the real me – so that they will like me. Sometimes I want to believe that I have it all together instead of considering what others actually see in me. Sometimes I want to be like someone else, but in 2012 I am going to work on being “ok” with being me – true to my personality, spirit and character. authentic relationship with God – This will be the most important area and the basis for all the issues above. It should be easier, since He already knows what I am really like. I wonder if God shakes His head and rolls His eyes when He sees me faking it? Or does He cry… wanting me to just contentedly accept how He made me? I plan to have some very authentic talks with Him this next year about that. How about you? Want to be more AUTHENTIC with me this year? Or what is your word(s) for 2012? This entry was posted in learning and leading, life and tagged authentic, emotions, fears, genuine, God, honest, needs, real by terry morgan. Bookmark the permalink. Hey. Enjoyed reading this….Authentic is a GREAT word for the year! Thinking about this….thanks! Love you. Let me know what word(s) you decide on, and I’ll pray for you! Love you too! Gracias por compartir este concepto de una manera tan fresca y honesta. Una de las razones por las que “te sigo” es precisamente por lo auténtica que eres! Quisiera ser lo mas parecida a lo que Dios tenía en mente cuando me creó, porque creo que entre mas se parezca lo que soy, lo que hago, lo que digo a el propósito ORIGINAL de Dios para mi, entonces seré mas auténtica, no imitando o copiando el propósito de Dios para otros, sino desarrollando el mio! Gracias por tus lindas palabras, May… ora, por favor, por mí! Que no seamos imitaciones de otros! Que seamos los originales del gran Creador! I think that to be authentic requires self awareness, understanding of one’s identity, and a strong core to know when to be flexible to needs of others and when to stand your ground. Strength and flexibility are related. I love the word and focus. Count me in. Thanks for your constant encouragement – you are one of the reasons I have the awareness, understanding and core to choose to grow in authenticity!